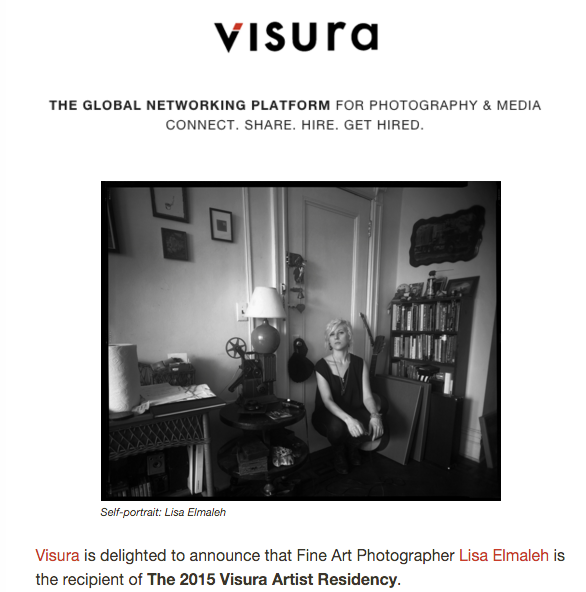 Delighted to have received an invitation to The 2015 Visura Artist Residency in Stowe, Vermont. November 6-12, 2015—I will be in Stowe, Vermont. In addition to meals and accommodations, residents receive daily editing session with Adriana Teresa as well as a two-hour session with CTO Graham Letorney to build his or her online presence on the Visura platform. During this time, Lisa will complete a new website, which will be announced at the end of the residency.